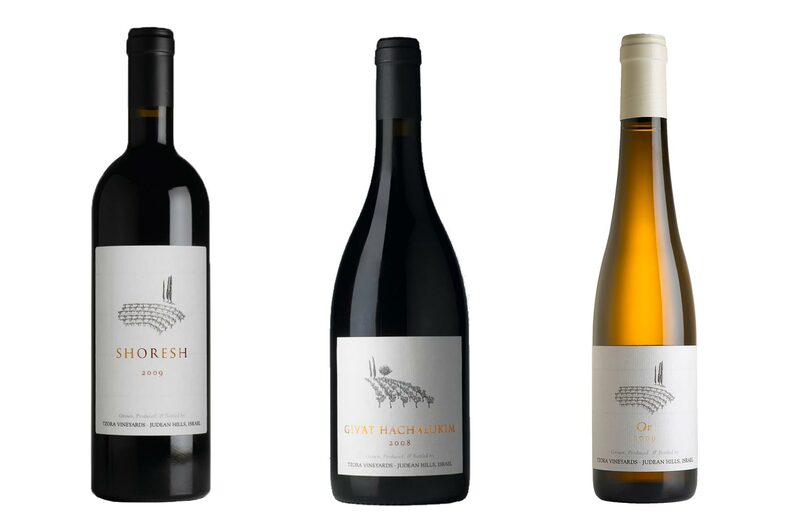 Tzora Vineyards ranks among Israel’s premier wineries. 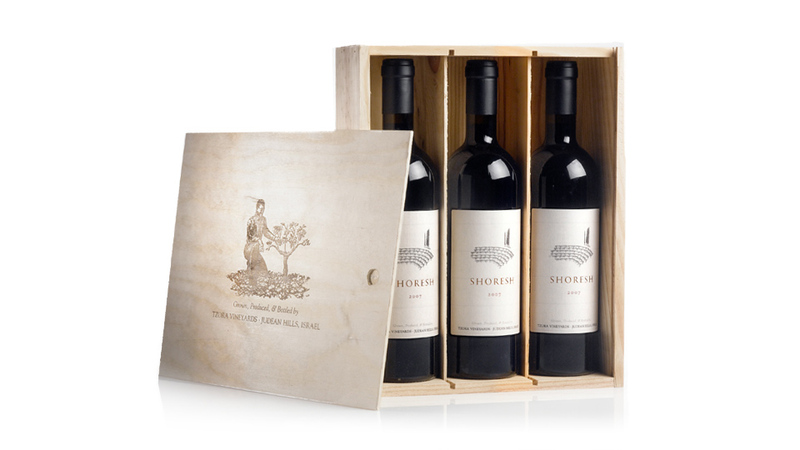 Their vision is to craft wines that reflect the finest terroirs of the Judean Hills. 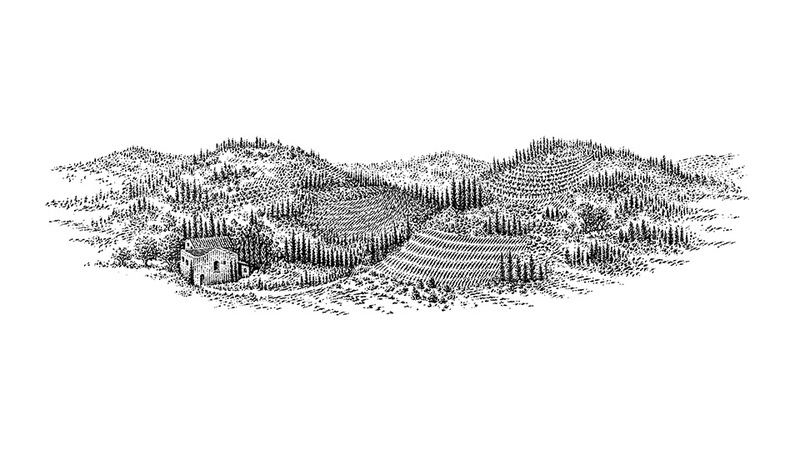 They make wine only from estate-grown fruit using minimal intervention in the process. In the vineyard they practice selective methods including thinning and sorting to harvest the best fruit. 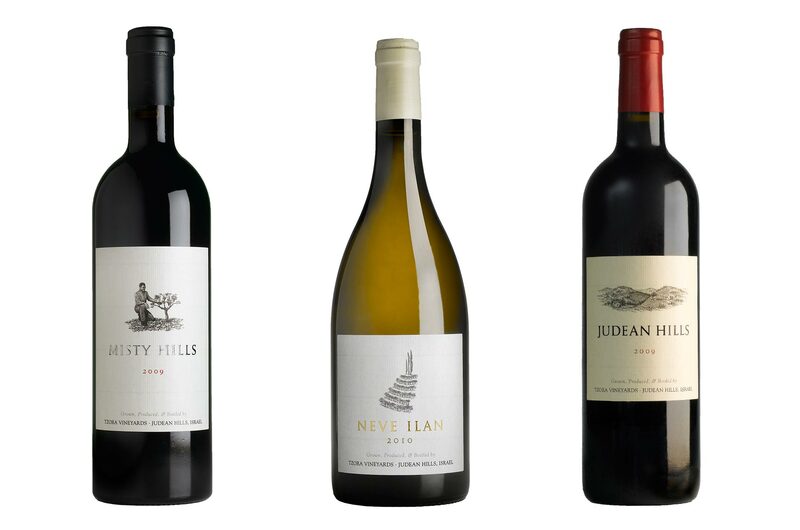 We cre­ated a comprehensive brand iden­tity pro­ject­ing clas­si­cal ele­gance, while pay­ing ref­er­ence to tra­di­tional wine design. 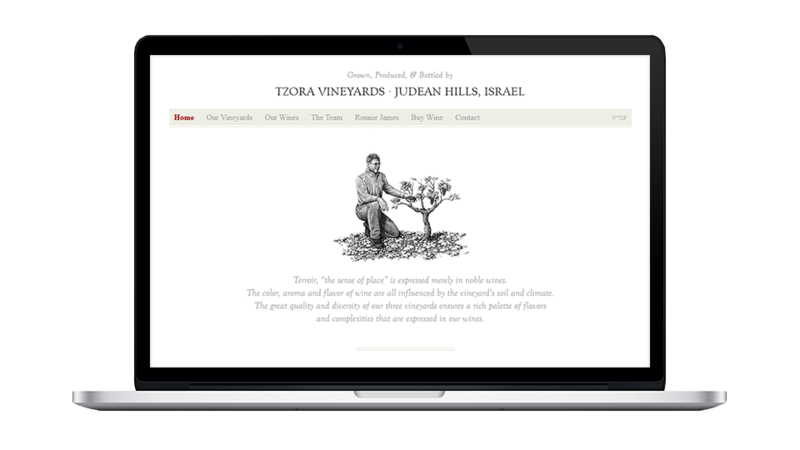 Tzora founder, and Israeli wine pioneer, Ronnie James is honored in the logo. 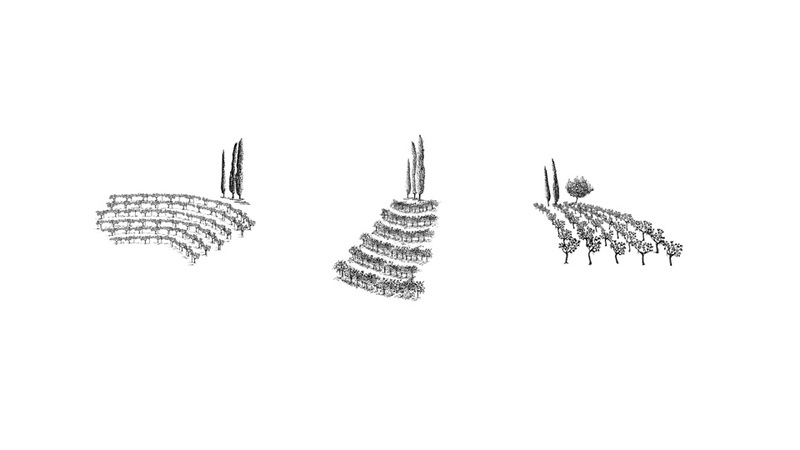 Vari­etals are dif­fer­en­ti­ated by icons rep­re­sent­ing the char­ac­ter of the vineyard sources. 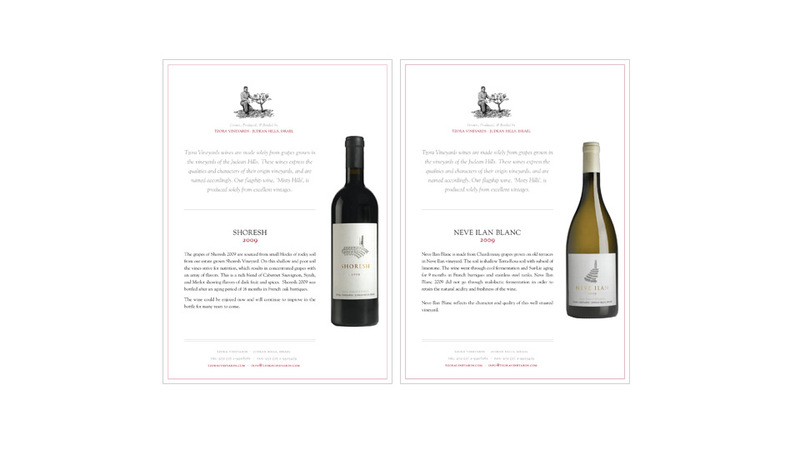 We engaged Vin to redesign Tzora Vineyards’s visual brand presence and bring it on the level with the top tier of quality on the international stage. We collaborated closely throughout the process and Vin was attentive to our goals and flexible in developing our ideas. The work has successfully endured the test of time and continues to make a strong impact on our customers. We highly recommend working with Vin.